Many people do not consider referred pain as being associated with the facial region. Not only can Myofascial Pain Dysfunction Syndrome create migraine headaches, MPD may actually cause pain in eight particular muscles involving the upper body. Extreme cases can even result in lower back pain. Most people identify pain medically within the region that hurts. 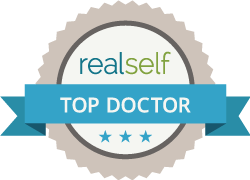 Diagnosis by a medical professional can reveal otherwise, and the facial region is often the source of that unexplained pain. Luckily, there are several unique treatment options available. Referred pain often is associated with disturbances in trigger points embedded in the taut band of the face muscles. The trigger points for the pain are located in the center of the muscle band and can be relieved of tension by injections. It is important to understand that pain is a symptom of an underlying problem. 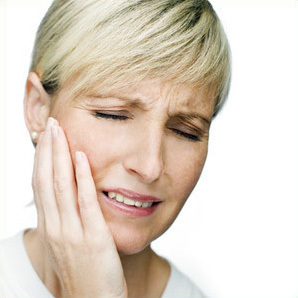 The problem with MPD is only partially tension in the muscle, as the tension could be created by a temporomandibular misalignment or a TMJ disorder. The trigger point injection process actually loosens the tension trigger point creating the referred pain. Dry needling is similar to trigger point injections, except that no substance is injected. A needle is inserted at a particular pressure point, which allows the muscle fibers to break, in turn allowing for an expansion to muscles in the pain area. This process is akin to acupuncture, but it is usually localized within the facial muscle region. Some pain may continue for a short time after the procedure, but range of motion in any affected extremity will improve. Dry needling can be very effective in cases where the neck and jaw are not moving properly. An occipital nerve block can be used in some cases to relieve muscle pain associated with tension. The nerve block is administered in the back just below the neck area. It is effectively a medical combination of a local anesthetic to eliminate short-term pain and a steroid to impact further long-term problems. The anesthetic will wear off within a few hours, but the steroids will be active for several days following the injection. Not everyone is a candidate for this procedure, especially if they have a coronary problem, but those who can handle the treatment may have the procedure several times if needed. There are also non-invasive treatment options such as “spray and stretch” that offer a medical treatment possibility for those pain sufferers who are not good candidates for injection therapy. Anyone experiencing pain in the upper body region and cannot pinpoint the actual source of the pain should contact an experienced dentistry medicine professional for an evaluation for potential Myofascial Pain Syndrome.